Throughout the year, the Friends of the Rugby State Natural Area work tirelessly to support, maintain and manage the land’s wildlife and flora. This is a tough job requiring the removal of detrimental invasive species that try to choke out the area’s indigenous inhabitants. 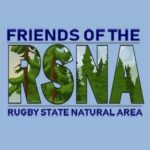 Join Lisa Huff, State Naturalist and Steward of the RSNA, to hike through Rugby’s trail system while learning to identify invasive species, and participate in protecting this natural treasure by helping pull overgrown weeds.